Tape counter The General VG-240A was another direct clone of the Toshiba V-31. 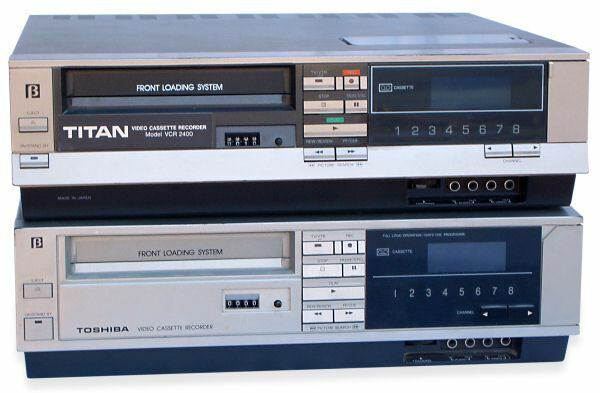 General also marketed this unit under the Titan brand as the VCR2400. The only discernible difference being the different branding label on the front and rear. The picture below shows the other two similar models. It was a nice looking front loading VCR. It was in competition with the Sony SL-C7 and Sanyo VTC-5000. 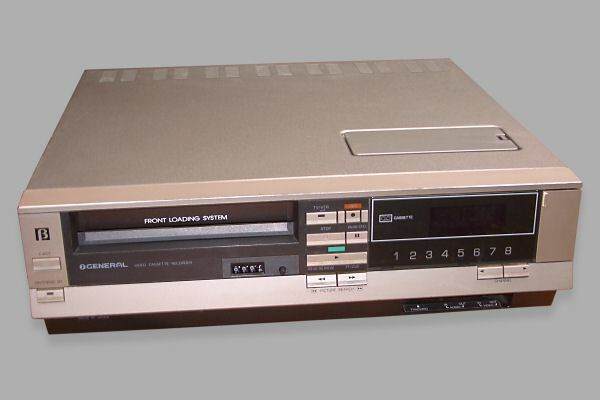 The VG-240A was produced in silver and was quite a heavy VCR, it did not have a perfect still frame but did offer a wired remote control, a single event 7 day timer and an auto rewind feature. The VG-240A, VCR2400 and V-31 were unusual in the fact that they sense when a video input is provided and automatically switch from tuner to AV input. Most other machines have manual switching between the two modes. Whilst these General branded versions were electrically identical to the Toshiba versions, they had a recast plastic front panel giving the General models a distinctive look. Many thanks to Noel Higgins for supplying the information and pictures for this machine.